Thank you so much for taking the time to do this interview! Would you start by telling the readers a little bit about yourself? Thanks so much for having me, Sarah! I'm honored to be here today. As far as about myself, I don't know where to begin! Actually that reminds me of a scene in one manuscript I'm working on, where our young heroine is left alone with the responsibility of keeping the attention of a slightly dangerous, but currently chatty, giant. ...While she's sitting in his hand. Then he wiped his eyes and subsided into chuckling. “Please?” I said charmingly. I really needed to keep him in a good mood until they got back, and there’s nothing anyone loves so much as to talk about themselves. Anyway, I guess I'll give it a try! ;-) I'm starting on the 28th year that the Lord has seen fit to keep me around, and I've had a pretty unique, and slightly rough-and-tumble, life so far. Due to various factors, my family moved around a lot, so I was exposed at an early age to a great variety of "settings", as well as "characters". This really was a blessing for my fiction writing, because, although I rarely lift directly from real life, everything I've seen and heard is just sitting around in boxes in the back room of my mind; and I know that they come out and swing their legs over the edge and holler ideas through the wall while I'm trying to bring a scene to life. I was always the "thoughtful one", and all that people watching certainly has helped me in sculpting real life personas on the page. I'm "best friends" with my youngest sister, and although she's not particularly "writerly inclined", she and I have great times brain storming plots, dissecting stories, and tossing ideas around. We also enjoy historical fashions, and inventing our own designs, sewing, working with animals. She loves medieval history, and has practically memorized the book The Kings and Queens of Britain. Myself, not so much, but is does show some Very Interesting plates of period depictions of fashion in medieval times! :-) I love finding gems like that, un-warped by the intervening centuries and "what we thought they probably wore"! So I count myself blessed with a good understanding of how things were before industrialization; which sets me up to write about far away lands in long ago times. I've always been a lover of fairytales, so oftentimes a good dollop of that gets stirred in to the mix. What is your favorite homeschool memory? I have always been glad to have been home schooled, and to single out one memory would be hard. I guess it might have to be one evening when I was little and wanted to get started learning something, since the older two had been set up with their school books for the year. Mom was a little busy with supper, but she took the time to write the "ing" ending on a paper, and explained how to make and modify words with it. She went back to cooking and I laboriously copied "ing" down the page; then "wing", "sing", etc. Years later when I hit the "ing" ending in the spelling book I had no trouble at all, and was surprised when I found other kids found that syllable highly confusing to spell. At the end of my ninth year, I read an abridged version of Little Women, and was surprised and delighted to read that Jo ended up writing books. 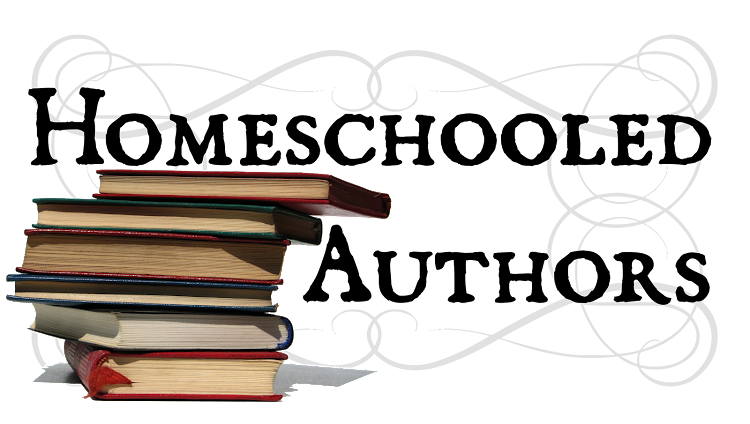 I had never given a thought to how books came into being, and that new information sealed my fate. 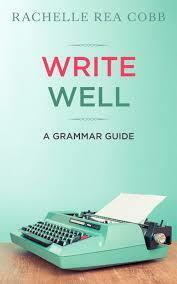 I knew right then i wanted to be a writer, and I asked Mom how to learn it. She replied, very wisely; "Read all the books you can find, and study them to see what the author did particularly well, and what you don't think worked as well." I took her at her word, and she had a hard time getting books to stay out of my hand long enough to get my sweeping done. I don't think it's her fault, though, since I probably would have been that way no matter what she told me about learning to write. Still, her advice was very on-point... and I learned a lot from the vast array of genres which I consumed. Partly due to this, I don't think of myself as "having" a genre; because a good story was where ever I found it, be it adventure novel ("Kidnapped"! "Prisoner of Zenda"!) 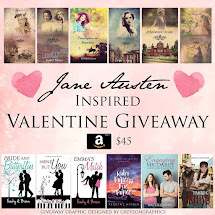 or regency romance. ("Pride & Prejudice" anyone?) And of course, a good, grueling historical was always an eye opening experience, and I think it's important for a writer of fiction to be intimately acquainted with reality on all it's levels. So while I don't write about the French and Indian Wars, ("The Frontiersman", "Northwest Passage") it was an experience not to be forgotten to live there for a while. What is the plot for your book "Jeweler's Apprentice"? I wrote the first draft as a gift for my sister, and she is a plot detective. She also objects to nearly every cliche known to novelists, so I was particularly hard pressed to create this character and her story arc. I plotted out a fresh course, and it passed muster with Abigail, so I think I have succeeded. Our heroine, Fia Brithin, is sixteen-going-on-seventeen, and the sixth child of a regional governor whose entire family is invited to the royal palace. They are all excited about this; but while there Fia sees a sinister looking situation and tries to remedy it. This misunderstanding results in the Chancellor forcibly conferring on her the honor of immediately apprenticing to a far away, and very famous, mountain jeweler. It's a huge opportunity for a girl like her, but it's a move that she wasn't ready to make right yet; but through the upcoming adventure she learns more than just jeweler-ing, and she emerges a more confident, and capable young lady. With a savage civil war raging in the other side of the mountains, Fia gets caught up in the turmoil of uncertain times; escaping refugees, and the spy/information network that helps both the fleeing people and their defenders. She finds jewels with deep secrets and new friends with the same; learns why not to try stealing from gem thieves; what heroism is, what royalty ought to be, and that the mountains themselves can sometimes be the greatest danger of all. Who inspired your main character? Fia's character was drafted keeping Abigail, (and her objections!) heavily in mind. So she doesn't have golden, jet, or firey red hair. Just an ordinary rusty-brown. She isn't gorgeous, willowy, wonderful and has all the young men falling in love with her. As a matter of fact, she considers herself completely unremarkable, especially when compared to her accomplished, brave, and prettier elder sisters. She tries hard to keep up the family honor, and her pride refuses to let her cry when faced with fierce, cloaked strangers threatening her in the night. I think she is in general a fairly realistic portrait that a lot of readers can relate to, with her shyness, love of family, determination to do the right thing, (even when she's not sure what that is!) and most of all her simple, home spun heroism by always rising to the occasion and stepping up to the challenge, whether she feels any confidence in herself or not. How did homeschooling effect your writing?Well, we kids were always glad we didn't have to spend the day in school, but could move on to our other interests as soon as we'd finished with our schoolwork. Because of this I had plenty of time to focus on both reading and, in my teens, writing. And parental encouragement to pursue our interests definitely played a big role in all the "paths" us kids delved into. So, we got a very well rounded education, particularly tailored to each individual. Where can people go to get your book? 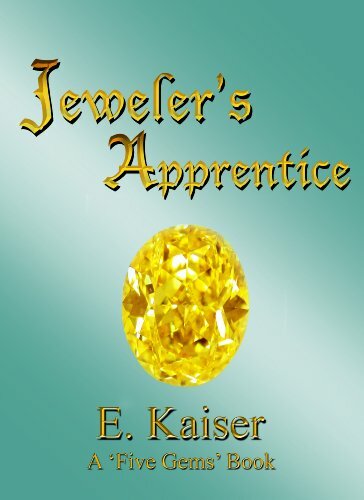 My first novel, Jeweler's Apprentice, is available as an e-book through Amazon. With the "look inside the book" feature, folks can get a good feel for the story. I love to reinvent plot points and story techniques that turn the "expected" inside out and lead the reader on a path they've never been on before. 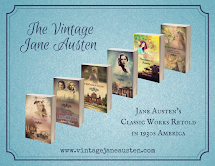 My "plot partner" and I spend a great deal of time examining the weaves of beloved stories, new and old, and drawing fresh conclusions on how to use old standbys in refreshing and exhilarating ways. It is a fun field of study, and I hope it adds an element of surprise to the story lines that result. I think books are important because they can take you places you've never been, or are impossible to go, (history, fantasy, etc.) and you learn so much from the worlds represented within the pages. That's why it's imperative that a book depict a hale and hearty sense of reality, (even if it's imaginative fiction.) Unfortunately, it seems that modern authors are diving deeper and deeper into warped and twisted perspectives of reality and serving them up as a mirror through which to view your own life. I realize that most people read for pleasure, not profit, ( ;-) ) but I hold that the measure of a good book is how much "real effect" it has, while being a fun time. There are so many things we can learn from books, accepting from other people's lives information that we would otherwise have no access to. To throw away this special avenue for learning is a huge loss, and it makes me sad to think of the ignorance that will doubtless be the result of readers who aren't exposed to books rooted in the truth of the real world. The Real World, where every action has a consequence, where we must carefully discern the good from the evil in even the small things; where there are facts that we must deal with, work around, and overcome. I write a lot of fantasy, and I enjoy it because I think that through that medium a writer can capture great truths and hold them reflected in the web of the imagination, for readers to see. I sometimes include a mysterious power that in fantasy terms would be called "magic". I write this because I believe a mysterious power exists in our own world... and nobody can explain it. Neither can they "channel" it, "shape shift" with it, or make it do their bidding in any way. Therefore, neither can my characters. This spiritual ground is part and parcel of Reality, and to work in a vacuum without it is just as unrealistic as "modern thought" lays at the door of any who Believe. It is said the "sincerest form of flattery is imitation." This is the route I take, and I hope that the worlds, characters, and actions that play out across the page are shapes of the implacable confidence and burning hope that I have from Him in the face of a world growing much darker. We all need vision; and young people are particularly desperate for it. Their futures will see tumultuous things, and I have a passion for trying to reach out to them and give them a hand in the direction toward firmer, higher ground. I look forward to the future with a mixture of real fear and an even stronger sense of anticipation. For even though I know things will continue to get worse, (as the Bible predicts,) I have felt the hand of the Almighty, and nothing, nothing, nothing can bring about even a slight shift in His Power. The storm gathers, and the battle will be fierce. But only One will emerge victorious, and I am standing in His shadow. Yes! You and I can agree on a lot of things, then! I guess I was lucky to only have ONE brother... he was hard enough to keep up with! ;-) But you're right, I think it has it's good side, adult life can get tough too, so being a little prepared in the formative years has advantages! Yes, thought after a little while I did begin to wonder "Why was I so anxious to start schooling?!" Again, thanks for stopping by and chatting! 1.Is jewelery making something you have an interest in? Thank you for the giveaway! Enjoyed the post! each of the entries needs to be in a separate comment. Sorry I didn't make it clear. Come, come, what's cliched about red hair? ;) Alright, so I must admit it's been on the rise lately - in books and on the screen. It seems every other book I pick up nowadays features at least one red haired heroine - not so many red haired heroes though... As a red headed gal myself, I have to admit I enjoy the rise of fiery red hair in novels! Your book looks interesting! I'll have to add it to my mile-long-and-ever-growing list of books to read! So, here's my question for you: Do you have any other books on the rise? Secret projects in the works that you wouldn't mind sharing a few words about? Hey Gillian. I must say, I have a red-headed girl in my book who started out as the main character, but her step brother ended up as the MC. Thanks girls! Thanks so much for taking the time to stop by and visit! This has been so much fun, I love discussing bookish things, and discussing Jeweler's Apprentice is a very new and thrilling experience! I appreciate the opportunity. So, I'll take it from the top. I can't really say how I come up with any of my names. I try to keep them short, and easy; so sometimes I'll pick a letter and experiment with attaching syllables... see how it sounds. Other times a name will pop up out of the blue; and other times I'll get a great name, and realize later that it's a version or a twist of some other name from somewhere else. Margaret asked: Is jewelery making something you have an interest in? I have never had access to the high heat equipment needed for casting, but it's something I always swooned over; so I've studied it quite a bit. But imagine my perspective, if you will. I happen to have... not jet black tresses, not golden locks, not a flaming mane, NOR chocolate curls. I have an in-between color. How many heroines have in between color hair? I ask you! I did find, though, that any cliche-free hair colors seem also to be, simultaneously, awfully hard to describe; without stopping the flow for a paragraph so we can explain just how "every day" this heroine's hair color is. (Maddening!) I now have a huge understanding to all those authors who slap down, "She flicked her fiery hair over her shoulder," "The breeze riffled through the golden strands," and "In the crowd, her hair shone black as midnight." You could say; "But, if it's easy, where's the challenge?" And I could say; "We're writing a novel here! Over 50k words of action, emotion, plot twists, plot line, back story, foreshadowing... all of which we have to keep suspended in glittering array before the readers tired eyes until the last page closes. What do you mean 'Where's the challenge?'!" She is a spicy little eye full; which all red heads will probably be glad isn't them. And she's tons of fun to write. ...And that leads to Gillian's second question: Do you have any other books on the rise? And the answer is, Yes! I'm working on the sequel to Jeweler's Apprentice, (still throwing around names for it.) In it the action heats up, and even more things are brought together. I think that readers of Jeweler's Apprentice will enjoy delving straight back into Fia's story, and will be enjoy getting to spend more time with the characters from book 1. The plot line becomes deeper, and the whole feel of the book, while staying true to the first, just ups the tension a little. So I'm hoping fans of JA will be really pleased with it's sequel. Anyway, it's set in first century Judea; Jerusalem under Roman rule, the twisted power of the Pharisee/Sadducee sects, and a people who have nearly all lost hope. She makes bad choices,(like really bad choices) and goes for the "what you can get" philosophy. It seems to be working for her, but when it all folds up, she finds she falls about as far possible. A Stranger on the road can lift her from the pit; but she's the one that will have to beat her way back on the path from where she came. ...and there's a sci/fi thriller that's edging around in the back of my brain and comes out every so often to demand I add a scene. It's a blast to write, but again, not sure of a target audience. Somebody ask me more questions! Oh, and Becki had a second question! I don't know what to say. I just never finish a "first draft"... it's always in rewrite. It took me 4 years from start to publication on Jeweler's Apprentice, but I hope to be quicker now that I've learned more. So, I guess, we'll all have to wait and see! I followed her on Twitter! 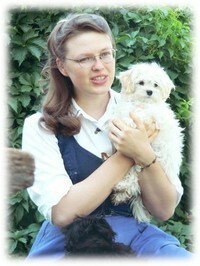 I liked Homeschool Authors on FB!